You are here: Home / Designing with Topiary Spheres: Oh, the Places You’ll Go! 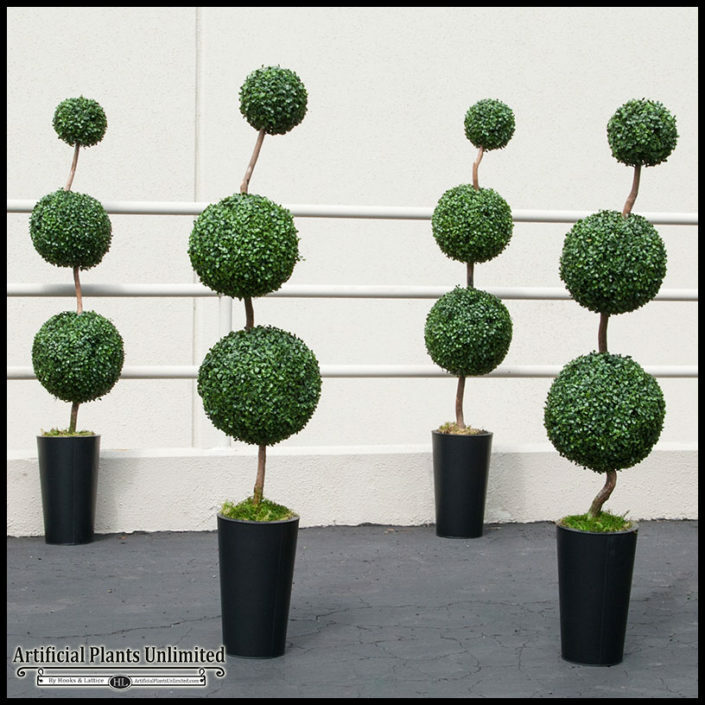 One can’t help but think of Dr. Seuss’s whimsical trees when they see a topiary boxwood ball. But their fun design only belies a more classic, manicured design accent that has become a popular choice for the modern designer. 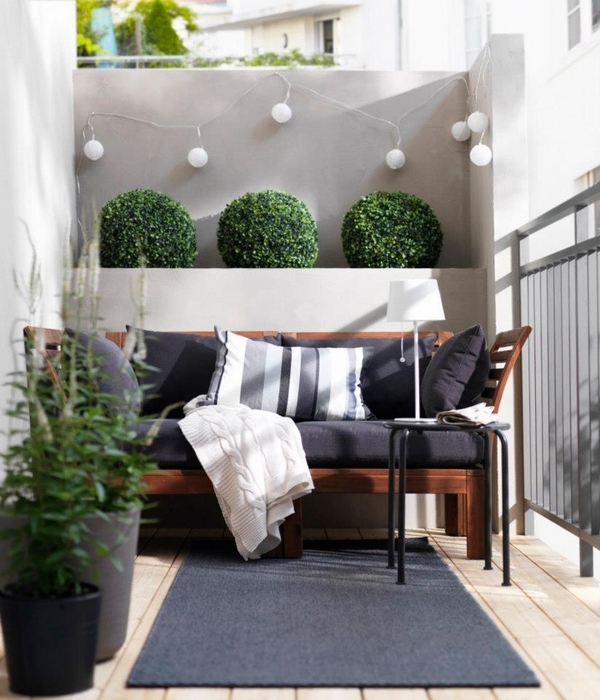 Here are just a few ideas on how to style our no-maintenance artificial topiary spheres for residential and commercial spaces. 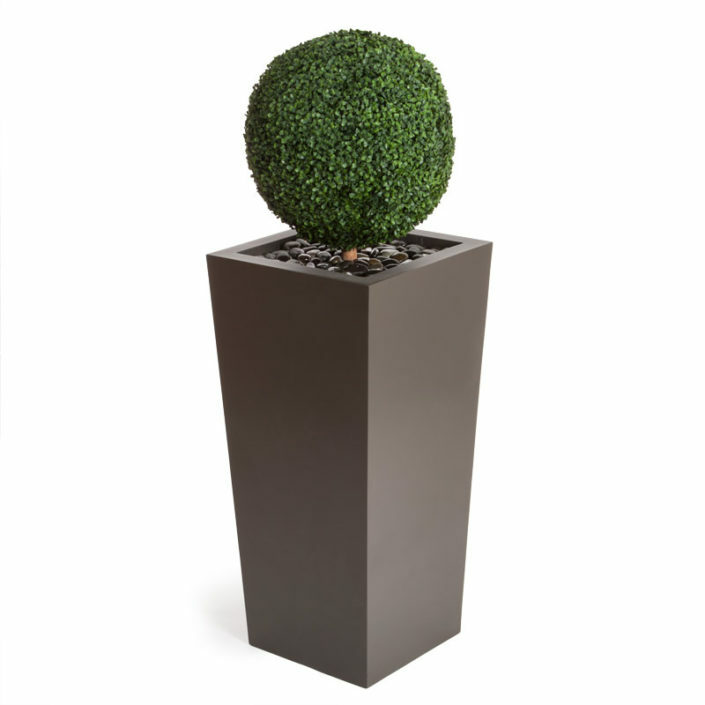 The sophisticated style of the boxwood topiary is a natural fit for modern, streamlined planter styles. 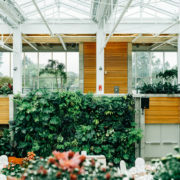 And since our faux boxwood spheres require zero water, trimming, or sun to maintain their perfectly coiffed and vibrantly green appearance, they can be placed anywhere—including indoors and shady outdoor spaces that get no direct sunlight. 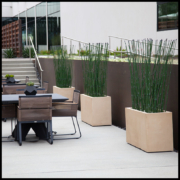 When “planted” in a planter, they are also work as elegant privacy screens and space dividers. Many people don’t realize how customizable our topiary spheres are: we can create virtually any design (hanging spheres, single- and multiple-ball trees, etc.) you desire. A chic way to direct foot traffic with style, while concealing street and other unwanted views, is by using a few topiary sphere trees. 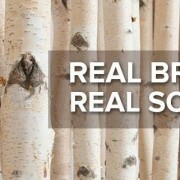 These natural-looking beauties can be configured in the design of your choice for greenery that doubles as a work of art. 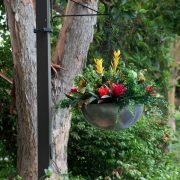 Line them on either side of your entryway, around a pool or private area, or around an outdoor eatery. You can place them inside or out—they are UV-protected so they won’t fade quickly. 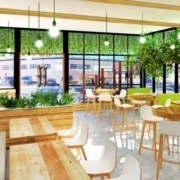 There are so many ways to incorporate boxwood topiary spheres into retail displays. 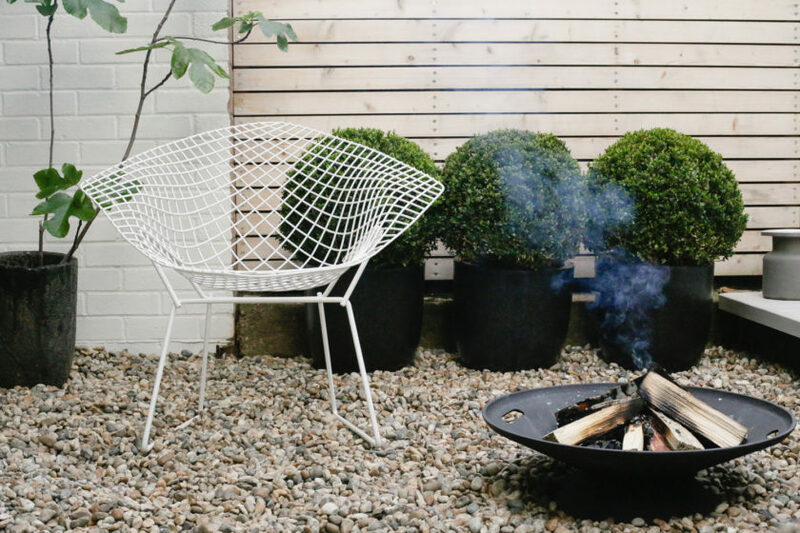 Whatever the design, these lush green beauties won’t require any maintenance and can be placed anywhere—even in the darkest of corners where sunlight never reaches—and they will still remain lifelike and fresh-looking. 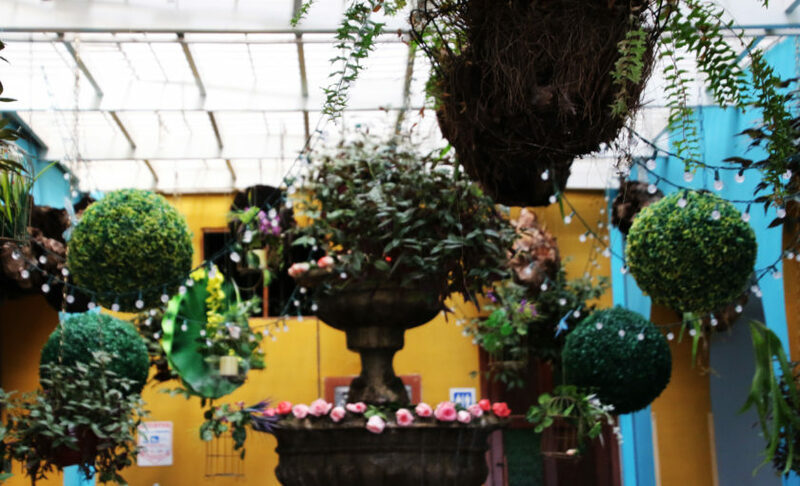 Use hanging topiary spheres in varying sizes and hang them at different lengths for a display with cohesive style and visual interest. Want table centerpieces and other unique wedding and special event décor pieces? 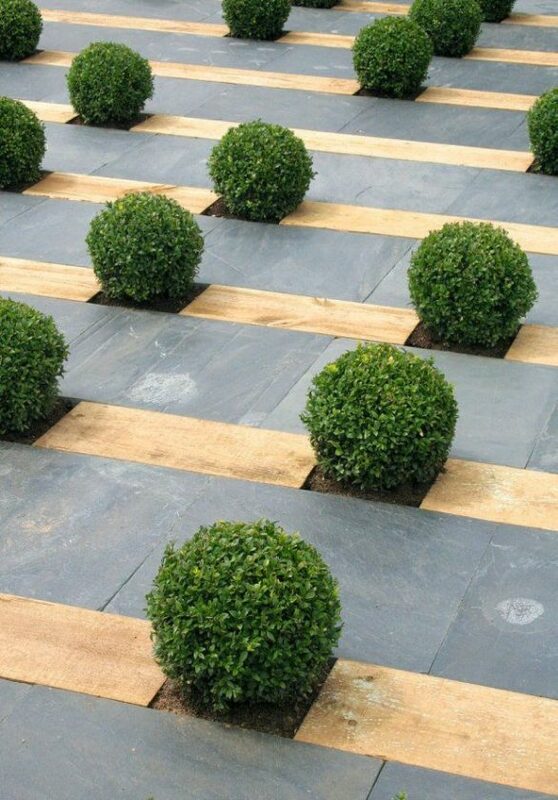 Many are turning to topiary spheres to ground their modern design scheme and give it visual depth. Artful and nature-inspired, these classic boxwood balls are easy to incorporate into special event décor. They make eye-catching centerpieces that can work as the focal point or chic accents in your design. 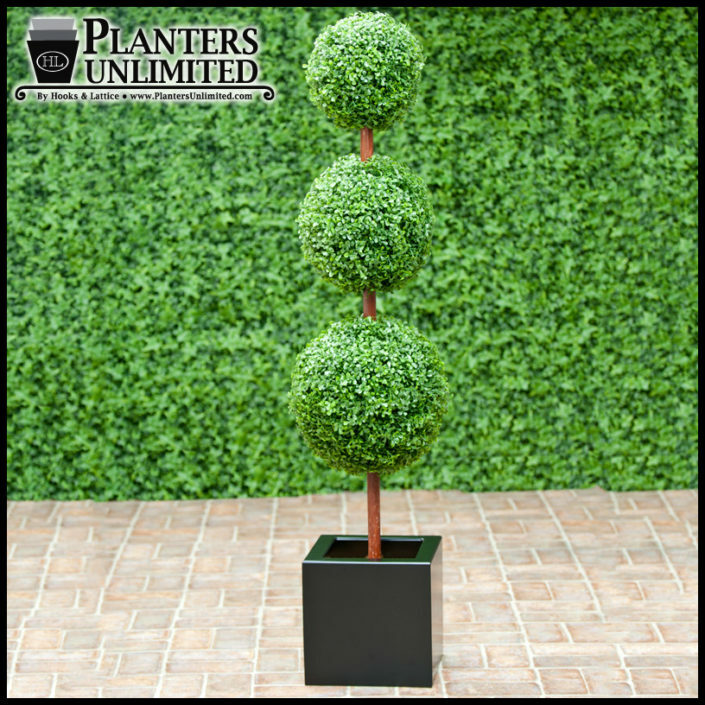 The best part about these lush boxwood topiary spheres is their versatility: they can be scattered or lined up as modern design pieces in any space. An ideal way to add greenery to an otherwise monochromatic or overly “manmade” design theme, these boxwood balls add vitality and a contemporary aesthetic to homes, hotels, restaurants, spas, theme parks, museums, offices, retail displays, special events—you name it! 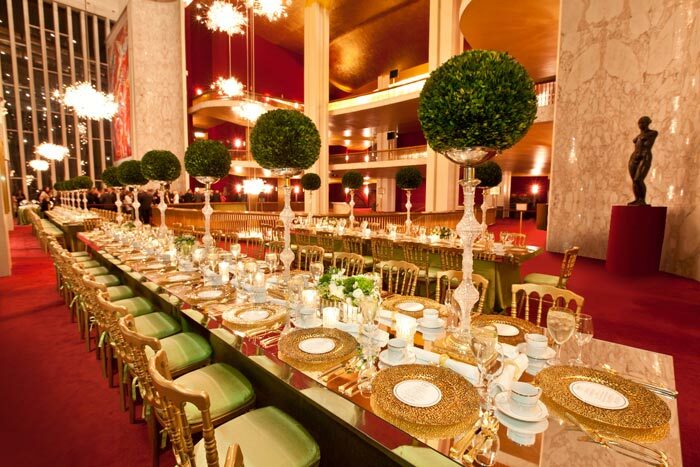 Also available in an ivy design, our faux topiary balls can be customized to fit your style in style and size. Need More Info Before You Go? 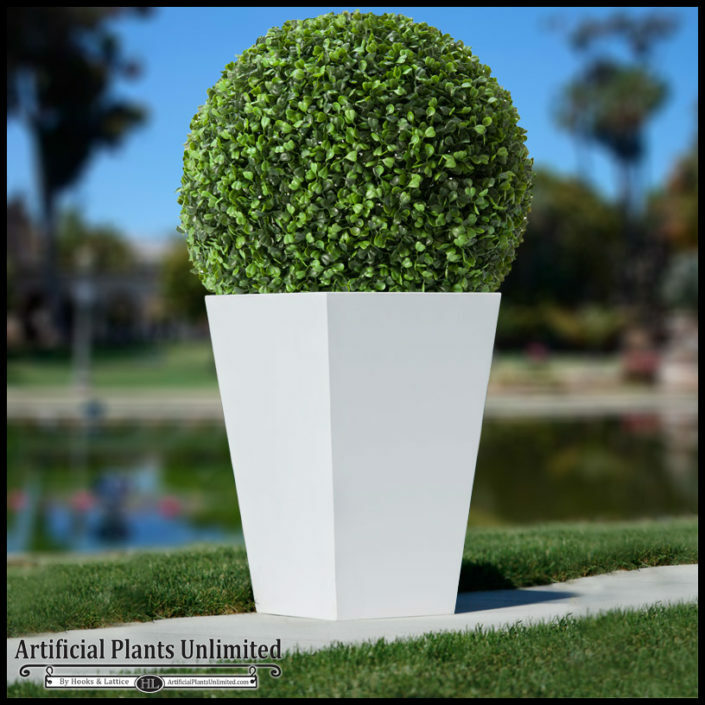 The artificial topiary spheres provided by Artificial Plants Unlimited are made from commercial-grade synthetic materials, including high-grade polyethylene, which is both fade- and weather-resistant, making them ideal for outdoor environments in any climate. 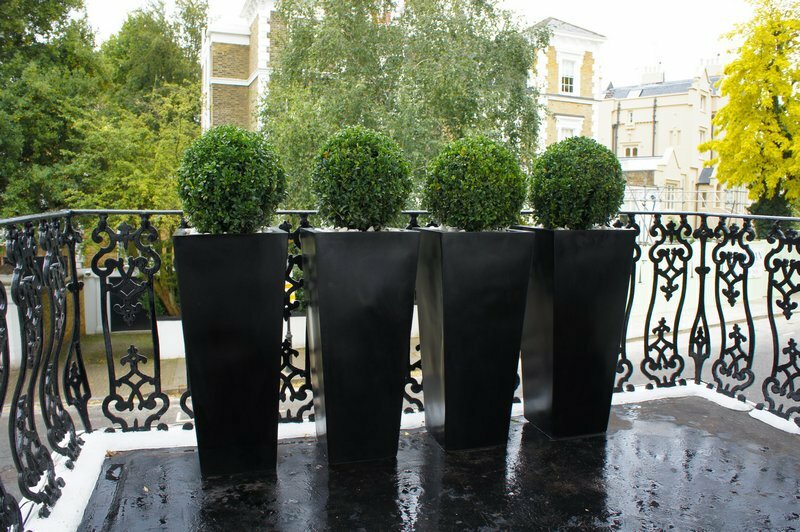 Along with boxwood and ivy topiary spheres, we offer a variety of topiary shapes (including custom) for you to choose from. 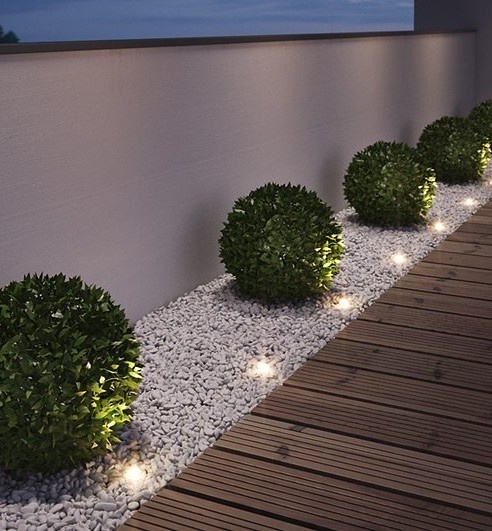 Got an idea for our boxwood topiary spheres that isn’t included on this list? Leave a comment below or call us! We’d love to hear from you. You can reach us at 1-888-320-0626. 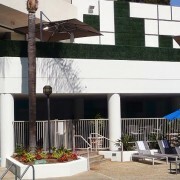 NOTE: Not all photos included in this blog post show artificial topiary spheres; some are live plants. 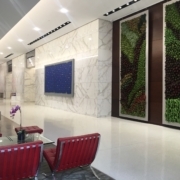 These images are included for merely inspirational purposes, to show how artificial topiary spheres from Artificial Plants Unlimited can be used in a variety of settings and applications. 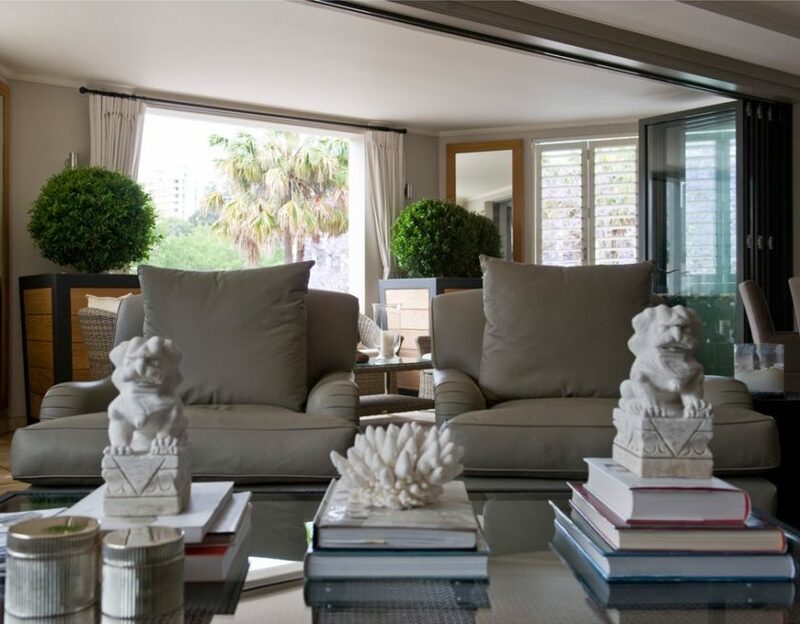 PHOTO CREDITS (TOP TO BOTTOM): The Wow Decor, Artificial Plants Unlimited (four photos), Design Hunter, Blades of Grass Lawn Care, LaProDi Interiors, Magda Ehlers, Gruber Photographers, Marco Meneguzzi Design, and Garden Lover’s Club.